Scientific journals are characterized by the method they use to select the content they publish. When a manuscript is received in a journal, the editor carries out a first screening to revise formal, subject, novelty and interest aspects. If this first selection is overcame, the peer review is the next step. 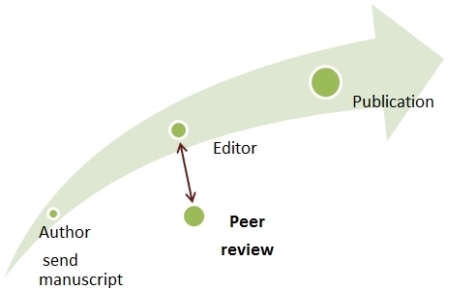 The peer review consists of the critical evaluation of a manuscript by experts who are not part of the editorial staff (International Committee of Medical Journal Editors ICMJE). This evaluation is reflected in reports that are sent to the editor, who has to communicate with the authors. Blind: the authors do not know who is in charge of the evaluation. Double blind: anonymous review, they do not know each other. Rewrite confusing paragraphs, format errors. References incorrectly cited or inadequate citation grade. Great changes (they involve a new evaluation by the reviewers). Design, methodology or execution failures. Select the content according to the journal editorial policy. Ensure that the methodology used in the research meets the quality and reproducibility standards. To provide authors feedback in order to help them to improve the writing, clarity and formal validity of the manuscripts. 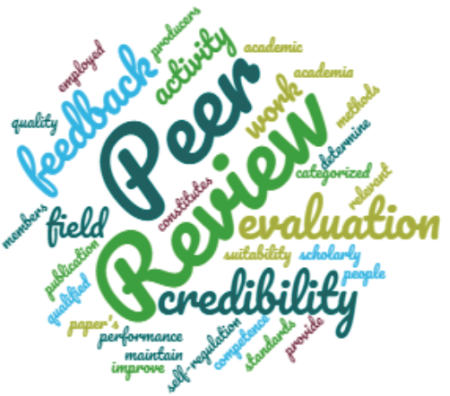 The peer review process, despite being the basis of current scientific communication, is criticized by reason of the delay in the manuscript publication, the bias derived from the peers prejudices, the difficulties in detecting frauds and errors, etc. Alternative forms have been proposed to complement the traditional peer review system such as pre-publication and post-publication review, although they are not adopted in a general way.